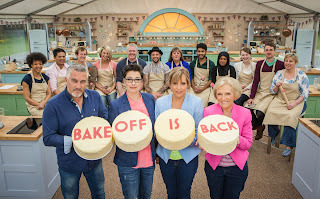 I am a huge Bake Off fan and i'm super excited that it is back on our screens BBC1 Wednesday at 8pm. I'm also a great arm chair critic so instead of shouting at my TV I thought I'd share my advice for potential contestants that I've gleaned from avidly watching all the previous season of the Great British Bake Off. Do not, do not change the technical challenge recipe because you think the instructions are wrong/your way is better. It's not and they'll notice the second you put your bake on the judging table. The judges aren't actually out to trip you up. If you're confident stick to your guns but don't disregard those little crumbs of help they might be giving you. Watch out for Paul's raised eyebrow and Mary's clipped "oh" they are trying to tell you something. The dried herbs and spices they provide you with on the show are freshly dried and therefore much punchier than your five year old dusty jar of supermarket herbs. Practice with good ones or use them sparingly - try tasting as you go. Tasting as you go should also help you avoid this one. Check if you're adding salt or sugar. Remember Toby from 2013? No, that's because he went home the first week after mixing up salt and sugar. If it does happen to you keep your chin up, all may not be lost as John Whaite made the same mistake and went on to win in 2012. Contestants sitting seiza-style in the front of their oven is a phenomenon we only see on the GBBO. So there should be no oven mishaps ever. Surprisingly, last night we still had one oven not pre heated and one shelf not level. Check the oven is on. The shelves are level. The temperature is right. And check they remain on through out the bake. Don't sabotage the other contestants and watch your ingredients like a hawk. It's not just your own stress induced Bake Off scatter brain that you need to watch for either. There was custardgate in 2013 when Deborah used/stole Howard's custard. And Iain's infamous unset black sesame ice cream that Diana inadvertently took/left out of the freezer in 2014. On that note if your ice cream doesn't set, do not have an Iain style strop and throw the whole lot in the bin. 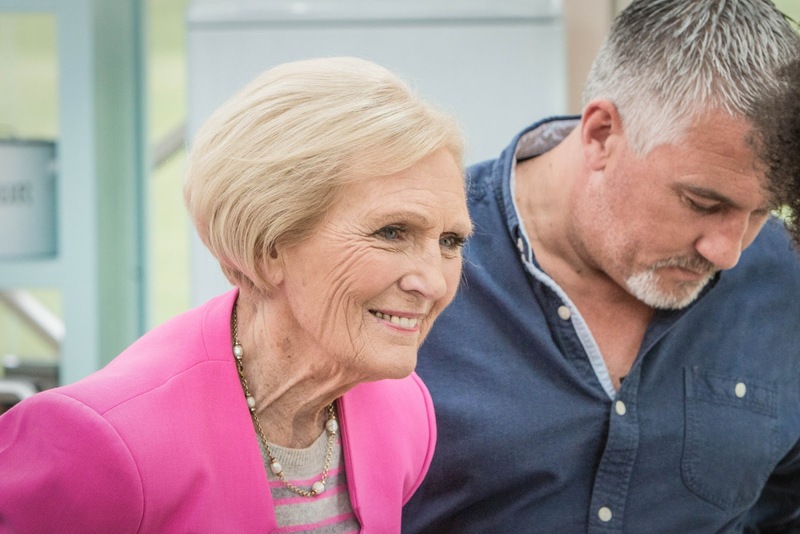 Mary Berry will not be impressed and you'll be off home faster than you can say soggy bottoms. The show must go on, no matter how screwed you think you are, serve your sloppy, burnt, undercooked cakes even if you've dropped it on the floor like Rob's chocolate cake in 2011. Afterall, it's all about the flavours, don't you know. Mary has a particular aversion to store bought props and non edible pieces. You don't want to hear the judges whine on about style over substance like Frances in 2013 - worth noting though that despite her plastic flower pots she went on to win. And let's not forget "glittergate" from the 2012 celeb Sport Relief edition. So is edible glitter toxic? Admitting you have skills in any particular baking area will anger the baking Gods and we can pretty much just jump cut to said bake being an utter flop. So many examples, Brendan's fondant fancies seem to stick in my mind. It is only cake, I can see how being in that tent would become your whole world so I might feel for you a tiny bit when things go wrong but if you cry I (and the rest of the nation) will roll my eyes and laugh because it is only cake.